Home Gaming Tekken 6 on XBOX 360 ! Tekken 6 on XBOX 360 ! Namco Bandai has announced that their Sony-only fighting series Tekken will hit both the Xbox 360 and PlayStation 3 with Tekken 6: Bloodline Rebellion. The announcement comes as yet another high-profile defection for a traditionally Sony-only series. All previous Tekken games, with the exception of the GBA spinoff Tekken Advance, have been exclusive to Sony consoles. By confirming that Tekken 6 will launch on the Xbox 360 as well as the PlayStation 3, Namco Bandai joins a growing list of developers who are abandoning old Sony ties to take a multi-platform approach to game development. Other recent examples of top Sony series heading to the Xbox 360 have included Grand Theft Auto IV, Soul Calibur IV, Devil May Cry 4, and most surprisingly, Final Fantasy XIII (a move announced at E3 2008). The fact that Tekken 6 will land on the Xbox 360 as well as the PS3 can only be seen as a win for Microsoft, who has struggled to be taken seriously among Japanese game publishers. But with the Xbox 360's worldwide numbers currently eclipsing those of the PlayStation 3, more and more publishers are finding that a multi-platform development strategy is paying off. 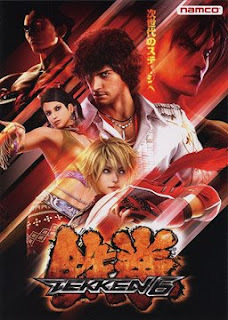 Tekken 6: Bloodline Rebellion will arrive on the Xbox 360 and PlayStation 3 in Fall of 2009.